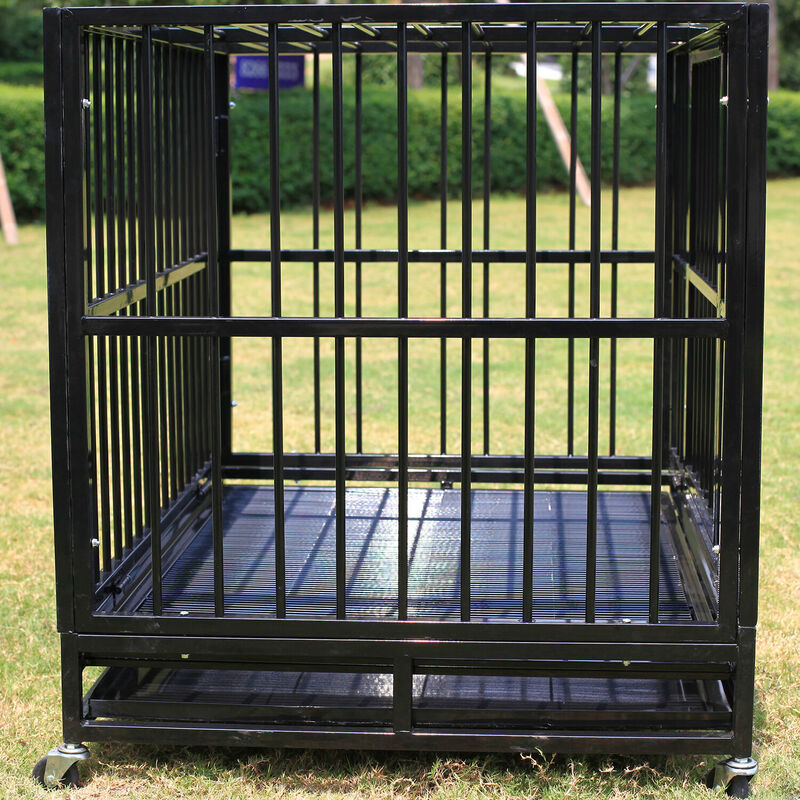 This is our brand new heavy duty strong dog cage with wheel. This cage is designed in particular with a heavy duty steel frame, a perfect choice for you to keep your pets safe and comfortable. Each bar is firmly welded to ensure the strongest sturdy construction. Double-door design with one in front and the other on top allow easy access to our pet. You can change food and water for your pet from the front door. When you want to take your pet out from the cage, the door on the top will work. The front door has double latches and top door with one, which are quite strong to protect our pet from escaping. Grate design floor allows dirties to drop down to the below tray, keep a clean environment for pets. Both of the grate floor and steel tray can be easily slide out from the bottom for easy and convenient cleaning. Besides, the cage is equipped with four rolling casters for easy moving and two of them are lockable design to avoid accidental moving. The quality is great, not rough, winter is coming, you can add a little cloth in it, or a wide range, very good.